Guys, I have read this thread and see that '97 E diesels can not use KarTek's clever solution because they don't have a MAF. 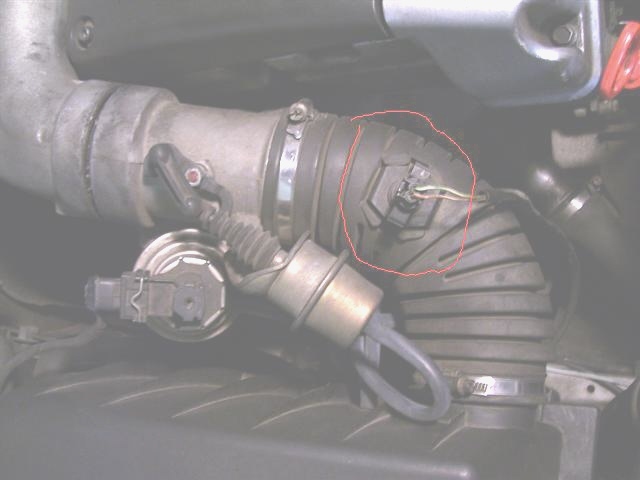 So what is that gizmo that I have circled on the photo of my '97 E 300 D. I am not skilled in emissions control and don't know a MAF from a MAP, but this thing is a loop of bare wire that sticks down into the air stream. If so, its an "Intake Air Temperature Sensor". MAF usually has 4-6 wires. The 2 wire pig tail is an indicator that your part in question is not a MAF. If I am possibly wrong, someone, please enlighten. Yes, I believe that is what it looks like. I don't remember the red blob at the end but if you colored it black it would be easy to think it was part of the plastic piece, or maybe mine is sooted up. I guess I am stuck with the EGR on this car. Virginia does not do emission tests, but I have been assured by the inspectors that they check to be sure the emission controls are unmodified, and if they are modified the car is rejected. So I just did the mod this weekend, in addition to changing out most of the fuel hoses. Needless to say a lot of time under the hood. At one point I threw a code, but this was prior to the mod. I think all is well, am I to understand that the Check Engine light should go away over time? Thanks -- sorry I wish I knew more about the '97's and could contribute something to the end of the thread here. Never mind, I found the answer on page 12 of this thread. I had disconnected the transducer, I think I was mixing up instructions from Evan's initial alpha version where the line was cut and the simpler solution. So leave the transducer connected! I did cap the vacuum from the EGR and the one from the transducer to the EGR, but it appears that probably isn't necessary either. Last edited by cewyattjr; 06-26-2011 at 07:59 PM. CEL is gone. I used a 3/4 tap which barely enabled a brass plug into the exhaust outlet, and packed JB Weld around it. Another victory in the fight to combat clogged intakes! Would this mod work on a 961 engine ? I assume its nearly equal the 962. I have a 961 in my S300 97`. The strange thing is that KarTek described in earlier post that because of error codes he got during testing his engine would not rev past 4500rpm and no boost. Im having exactley the same problem, sluggish car, no boost and max rpm is 4500. But i am having no error code. I think this problem is related to no boost/egr problems, but why no error code showing up ? Is it possible to have no boost and still engine not showing any error code ? Anyway i hope this mod can also fit the 961 engine! I'm not familiar with the .961. With these engines, that last digit can mean a big difference in how the engine is managed. Does your engine have a MAF sensor? If so, I suspect the mod would work. Can you take a picture of the engine and post it? 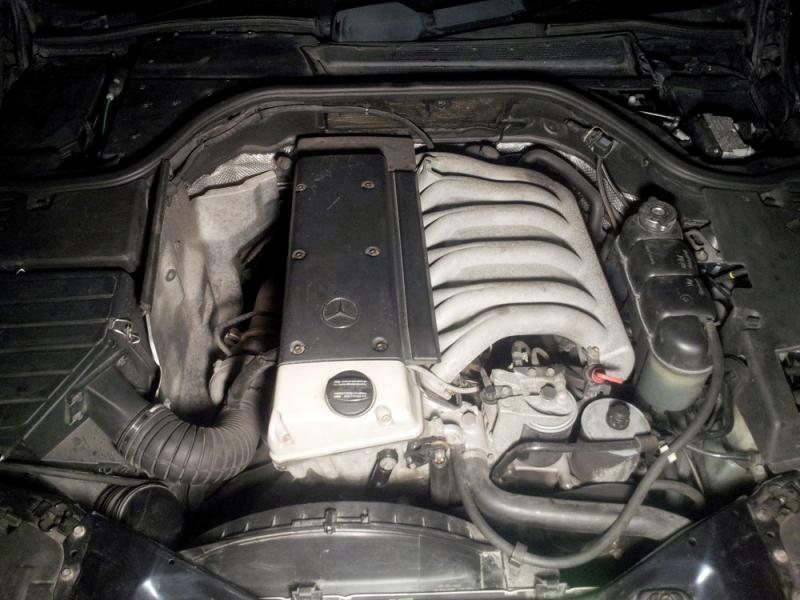 in the post by AlanMcR says this about the system: " the OM606.962 (in the E-class). This has a MAF plugged into the air stream right after the air cleaner. The only purpose of the MAF is to verify that the EGR is working. When the EGR opens the MAF reading verifies that the flow through the air filter is appropriately reduced. On the OM606.964 (in the G-class) and OM606.961 (in the S-class) the EGR is monitored by a valve lift sensor. That is the wire you spotted coming out of the EGR. On the G, the ECU knows that the valve opened, but doesn't know if any gasses are flowing through it. (Lots of people realized this and plugged the pipe, hence the fix on the E-class). Note that your G will go into limp mode if the EGR sensor or vacuum hose is unplugged. In my case the EGR sensor failed. Since this is a non-USA part, I was motivated me to build a circuit that mimics the EGR sensor. You might want to unplug the sensor just to have a feel for how weak limp mode is. It will go back to normal after the sensor is plugged back in and the engine is restarted (some causes of limp mode may take a few restarts). " So it seems like the 964 and 961 is similar, and probably i can blank off the EGR. 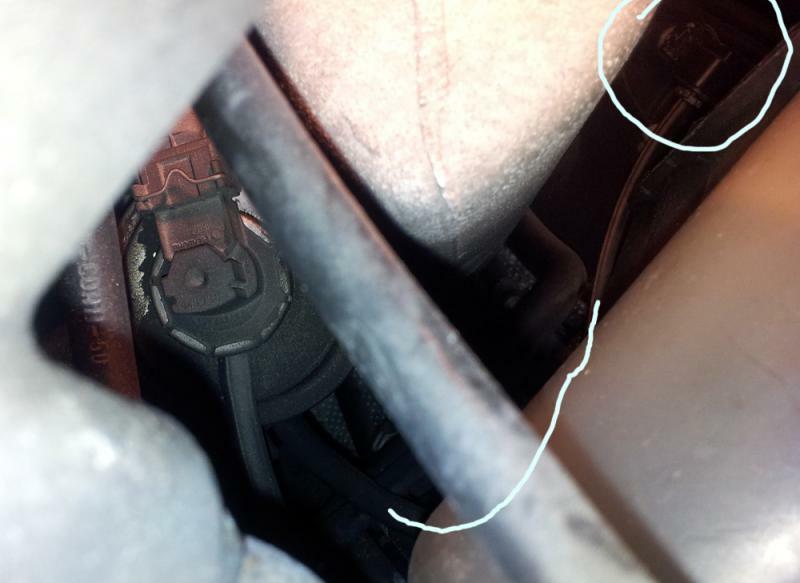 There is also a sensor upstream just before the egr, what could be the service of this one? Seems like my system is more simple than on the 962 engine. Would this mod work on my 1997 Mercedes E290 turbo diesel engine 602.982? Does anybody know which ECU pin numbers should I connect? ...to contributors to this thread, especially Kartek. My 606 engined 1999 300 TD estate was not ticking over smoothly and had lost a lot of power. My local indie told me the labour to investigate the EGR error code would be a couple of hundred pounds and if parts needed replacing that could be the same again. With the 2-parts EGR bypass mod. the lumpy running was cured and the MAF delete using a 22k resistor gave me back full power. I have had her from new. She has done 117k miles and is going up for sale as a company car is going to take her place. I shall be sorry to say goodbye to the grand old (slightly rusty) lady but pleased to see she can still pick up her skirts and run. or maybe mine is sooted up. That early in the intake everything should be clean. No soot. I guess I am stuck with the EGR on this car. The commonwealth of Virginia most certainly does require emissions test on '97 and up diesels under I believe 8000 pounds. Now some counties may not require emissions, so you might be in one of those counties. For those of us that are tested, the procedure is nothing more than checking for emission codes. A brief look under the hood may take place, but with a neat and tidy removal, all should be copacetic. , but I have been assured by the inspectors that they check to be sure the emission controls are unmodified, and if they are modified the car is rejected. Ah, but can they tell? with the two ports blocked in a factory appearing manor, no one can tell. You have a W210 TD ? Please please provide pictures !!! I would love to import one of these. Any idea cost to ship to US? I shall be sorry to say goodbye to the grand old (slightly rusty) lady but pleased to see she can still pick up her skirts and run. Hilarious. Thanks for the chuckle ! I'll be waiting on my royalty check in the mail! Just did the resistor and diode mod to bypass the EGR. No engine or electronic lights on dash, no codes, however, though the engine does wind up to typical rpm and turbo does function (unlike when you simply unplug the vacuum line without the mod), I am not getting typical acceleration because I am not getting expected boost. From past monitoring of MAP pressure on my scangauge I do know that I typically get 15psi full boost (30psi MAP), but with the mod the car now accelerates much slower and tops out at only 7 to 8 psi boost (22PSI MAP). Have you come across this? I tapped the resistor/diode circuit between wire 21 and 35 as shown in the diagrams and I am confident that is correct and I also unplugged the vacuum line going to the MAF diaphragm. Is there another step that I may have forgotten? I notice in post 119 by scott19_68 there appears to be a tap to what I believe is a 12v line. Did I miss something? Why do you suppose that is there and where does it go and does it have something to do with the mod. If so I obviously missed something. If I am correct you said you unplugged a vacuum line to MAF and I assume you mean EGR. The mod plugs it not un plugs it. Now there is a vacuum leak and the waste gate solenoid is not functioning putting you into limp mode. I am surprised there is no check engine light. Could someone please reiterate what needs to be done with the vacuum plumbing? I've seen the circuit diagram, and it's very clear about the electrical modifications. What I'm not clear is whether anything *needs* to be changed with respect to the vacuum plumbing? I saw some posts that said disconnect the transducer from the EGR valve, and other posts that said to disconnect the vacuum reservoir from the transducer. What is correct?